In 1995, before leaving his much-loved home in North Yorkshire to move back to the States for a few years with his family, Bill Bryson insisted on taking one last trip around Britain, a sort of valedictory tour of the green and kindly island that had so long been his home. In 1995, before leaving his much-loved home in North Yorkshire to move back to the States for a few years with his family, Bill Bryson insisted on taking one last trip around Britain, a sort of valedictory tour of the green and kindly island that had so long been his home. His aim was to take stock of the nation's public face and private parts (as it were), and to analyse what precisely it was he loved so much about a country that had produced Marmite; a military hero whose dying wish was to be kissed by a fellow named Hardy; place names like Farleigh Wallop, Titsey and Shellow Bowells; people who said 'Mustn't grumble', and `Ooh lovely' at the sight of a cup of tea and a plate of biscuits; and Gardeners' Question Time. 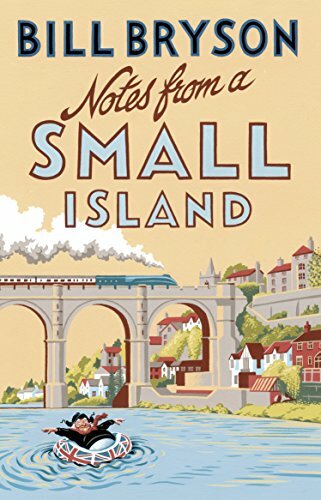 Notes from a Small Island was a huge number-one bestseller when it was first published, and has become the nation's most loved book about Britain, going on to sell over two million copies.